Improve blood circulation, eliminating stasis, analgesia, carminative, anti-inflammatory, eliminating swelling, cramps paralysis, muscle pain, contusion, sprain. Rub 3 to 4 drops on the affected area per time. Apply not more than 3 to 4 times daily. For external use only. Do not swallow or apply close to eyes or mouth. In case of accidental ingestion, seek professional assistance or contact a poison control center immediately. Keep this and all drugs out of reach of children. If irritation of the skin occurs then avoid application immediately and consult a doctor. Avoid use of products containing methyl salicylate in children who have the flu, chicken pox or fever. 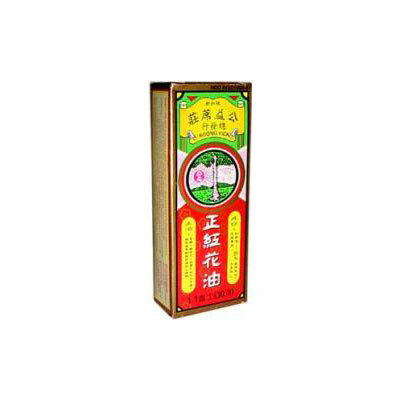 People who are allergic to salicylic acid should consult a Chinese medicine practitioner or a doctor before using this product. Store in a cool dry place. Recap top tightly after each use.